The serial 'trep is not afraid to use seemingly unconventional methods to expand his restaurant empire. OPPORTUNITY SEEKER. "There are so many opportunities out there, so it’s important to channel my energy wisely," says celebrity entrepreneur Marvin Agustin. Photo by Jason Quibilan. 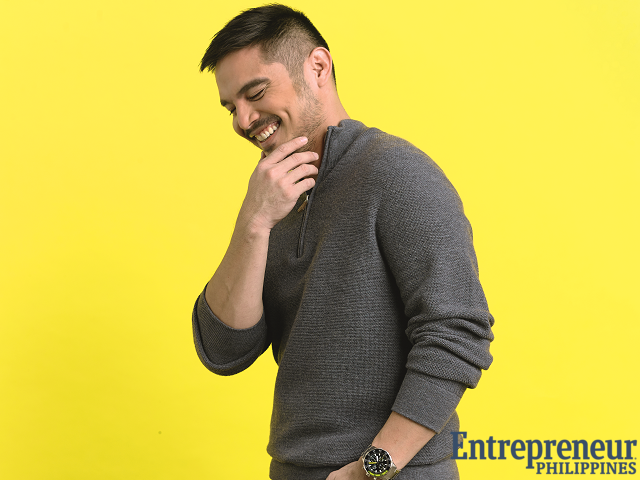 “I’m always in jeans and t-shirts now because I want to be like a millennial,” actor and entrepreneur Marvin Agustin quipped as he enters the dressing room. “It’s not that I want to be younger, but I want to understand them more. It’s part of immersing myself in their culture,” he continued. It’s a statement that reveals a lot about the 36-year-old, who is considered as one of the most successful restaurateurs in the country. This kind of forward thinking is what got Agustin started on the path to entrepreneurship. Needing to help support himself through high school, he started working at 12-years-old—selling everything from firecrackers to clothes from Tutuban, a popular destination in Manila for affordable shopping finds. At 16, he worked as a waiter for a chain of restaurants. In his early 20s, he invested his first earnings as a celebrity in a doughnut shop franchise and in a rice toppings kart business he put up with his sisters. He also became a silent investor (whose involvement is limited to providing capital to the busines) in a friend’s oyster and seafood restaurant. “By 2005, after going to culinary school, I felt ready to put up my own concept,” said Agustin. Together with his friends-turned-business partners Raymond Magdaluyo and Ricky Laudico, he saw an opportunity he bravely claimed. “[There's no] casual-dining Japanese restaurants [in the] malls [before], so we thought of coming up with a concept for one," he shared and added that they knew nothing about Japanese cuisine then "but our presentation [to Shangri-La mall’s management] got approved." Thus, SumoSam was born. Agustin recalled that some people were discouraging them from getting that mall space because many were not able to recoup their investment there." But we trusted our instinct and put in the hard work,” Agustin shared. Ten years later, SumoSam has become one of the largest Japanese chain restaurants in the country, with 25 branches nationwide. In the process, the trio established themselves in the industry, opening more concept restaurants over the years. Agustin and his partners now have a total of nine brands in their company’s portfolio, including John and Yoko, Mr. Kurosawa, Akira, and Banzai. Constant innovation has proven to be a big factor in Agustin’s success in an always-changing industry. “You see the environment and how much it has changed since we first started. You need to evolve because customers can always get what they’re looking for somewhere else,” he said. Realizing that their strength and competence lie in Japanese cuisine, Agustin and his partners further explored its many aspects to excite their market. Prime examples: SumoSam stays true to its family-friendly, casual dining identity; Mr. Kurosawa and John and Yoko are high-end Japanese fusion concepts; Akira focuses on teppanyaki; Banzai is a buffet-driven restaurant. CELEBRITY CHEF. 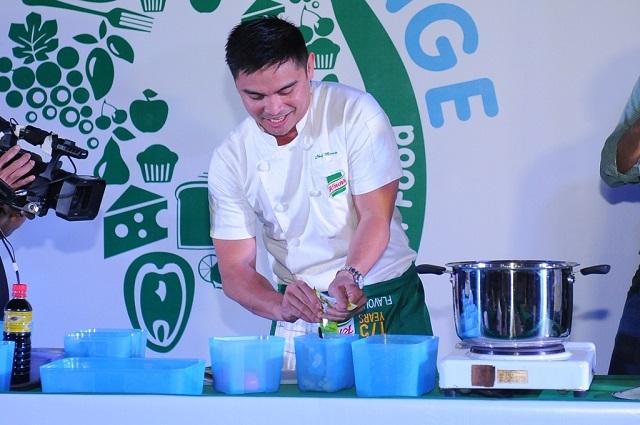 Marvin Agustin has become a celebrity chef in his own right, even becoming a brand ambassador for big names like Knorr and Tupperware. Photo courtesy of Unilever Foods. Agustin is quick to admit, however, that success is a double-edged sword. While his restaurants continued to expand and enjoy a loyal following, he noticed a shift in attitude and energy between him and his partners. "We got too stubborn and didn't want to take on new challenges—whatever we liked to eat, that's also what we will serve," he revealed. "We played it too safe, we didn't make bold choices." Reviving their love for great dining experiences opened a new window of opportunity for the trio. Returning to their bold, innovative roots also meant introducing young, fresh talent to the team. Case in point: Their partnership with iconic New York-based restaurant Wolfgang’s Steak House. “I’m setting up a new team who will only do the operations of Wolfgang’s, and our job is to ensure that the steak house doesn’t just remain a great brand in concept, but to translate it to an experience that Filipinos will embrace,” Agustin shared. “It’s exciting for us to explore new partnerships and discover new talents! Working with millenials can be challenging sometimes, but honestly, they deliver great results. And ultimately, the costumers see the difference,” he added.